The first year of the Trump Administration and GOP-led 115th Congress have been characterized by relatively few major legislative accomplishments. While the Senate has appointed conservative judge Neil Gorsuch to the Supreme Court and passed a strong set of sanctions against Russia, Congress has failed to pass any notable pieces of legislation. It is possible that Congressional Republicans will be able to pass a comprehensive tax reform package before the end of the year, but they will likely do so with a vote along party-lines and without support from Congressional Democrats. Perhaps this is simply the new reality of the hyper-polarized, political environment in the United States, making it more realistic for the President’s first 100 days to be marked by protests, gridlock, and division instead of legislative accomplishments. But the lack of progress is also a reflection of a conscious decision by President Trump and GOP leadership to pursue an agenda with virtually no chance of bipartisan compromise. It should be no surprise that Republicans in Congress would follow this course of action and pursue a traditionally conservative agenda. Going into his presidency, Trump made no guarantees that he would follow the standard Republican playbook of Presidential politics. Throughout his unconventional campaign, he frequently broke with Republican party protocol on issues such as trade and social security. Trump has far less allegiance to members of his party’s establishment than any other President has had in recent memory. It was entirely conceivable that Trump could have bucked Republican leadership and created his own, distinct policy agenda. One possible policy area where Trump could have diverged from some members of his party is infrastructure. In fact, rebuilding America seemed to have strong appeal for Trump. He frequently talked about it during his campaign, even proposing to double Hillary Clinton’s funding plan. Given Trump’s background in real estate and his love for big projects, it seemed natural he would try to focus on government investment in new construction. Instead, any possible infrastructure plan has stalled. Despite his bold claims during the 2016 campaign, President Trump has not released a formal plan for infrastructure legislation. 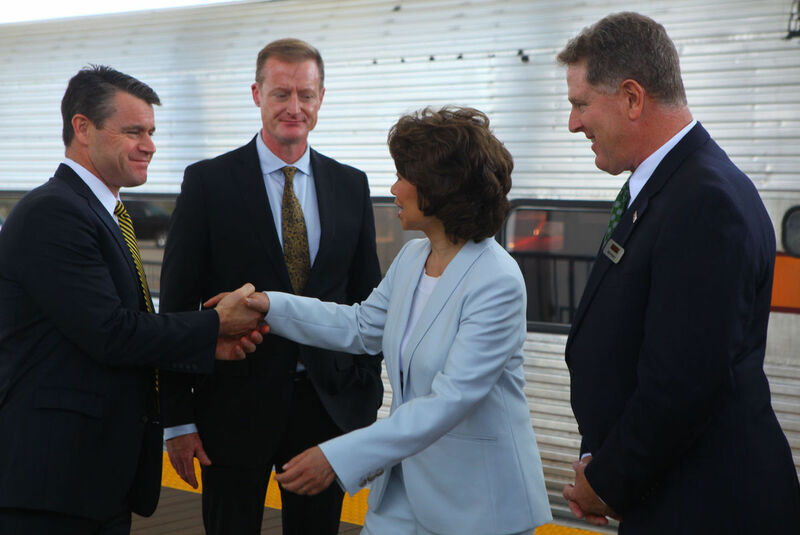 Trump’s Secretary of Transportation, Elaine Chao, has frequently touted a forthcoming infrastructure plan that will rely heavily on public-private partnerships, but she has still not revealed any details. Trump himself recently promised that he would submit his infrastructure plans after Congress finishes its new tax reform package. Republican leaders intend to finish tax reform by the end of the calendar year, which doesn’t give the Trump Administration much time to formulate a detailed plan for infrastructure. As was the case with tax reform, Trump’s plan is likely to be more of an outline with a vague set of policy goals that Congress will fill in later. An infrastructure plan from Congressional Republicans is likely to involve far less spending than Trump’s proposed $1 billion target. Especially after passing a tax cut with major predicted deficit spending, conservative Republicans are unlikely to support new investments that would drastically add to the national debt. The federal government can approach infrastructure policy in a number of ways. The most obvious strategy would be direct federal spending on infrastructure. The federal government normally gives states funds or loans to build projects and refurbish existing infrastructure. However, if the federal government does not want to directly spend money, it can try a number of other strategies to boost infrastructure development. The first is to reduce regulation, thereby freeing up states to build more projects without the burden of certain federal laws that may have restricted construction. President Trump has already taken some actions on this front, rolling back environmental rules on construction in flood-prone areas in August. The federal government does have significant control over environmental regulations and permits that slow down construction. Trump has promised “massive” reform to reduce permits and help speed along projects especially those funded by the private sector. Another idea that has gained a lot of traction across the aisle is public-private partnerships, which involve the federal government enticing private companies to invest in projects that have some potential to generate revenue. The most common example of such projects is toll roads. In theory, public-private partnerships, nicknamed P-3, allow the government to avoid directly having to spend money and encourages efficient private companies to build and manage key infrastructure. This approach does, however, have major drawbacks. Not all projects have the potential to generate revenue like a toll road, so P-3 projects have limitations in regards to where they can be utilized. Furthermore, the results of P-3 projects have been mixed. Successful toll roads in Colorado and a bridge project in Pennsylvania illustrate the benefits of this approach. However, sky-rocketing toll costs for commuters in Virginia provide a cautionary tale. Most analysts believe that public-private partnerships can be part of, but not the only solution to US infrastructure. Republicans will likely release an infrastructure plan that relies heavily on deregulation and public-private partnerships as opposed to direct federal spending. However, the GOP may still claim to be providing a trillion dollar infrastructure bill without actually providing that much funding. One early proposal from the Trump Administration touted a trillion dollar infrastructure package that included just $200 billion in direct federal spending. Senate Democrats released a plan for $1 billion in direct federal spending on infrastructure over the next 10 years. This kind of plan would amount to a more accurate legislative solution to President Trump’s campaign promise, but it is unlikely to gain Republican support, especially since Democrats have not formally detailed how they would pay for it beyond increasing taxes on the wealthy. If Trump were serious about policy or cared deeply about fulfilling some of his specific campaign pledges to improve American infrastructure, he would probably have better luck passing major pieces of legislation. His solid support among the vast majority of Republican voters would also likely be enough to pressure GOP lawmakers into backing an infrastructure bill. Democrats would be possibly be inclined to support the bill on policy grounds as long as it doesn’t include too much deregulation. However, Trump may have already missed his chance with Democrats, who might see working with the incredibly unpopular Trump as a negative, even if they agree with him on the issue at hand. Trump’s popularity among Democrats hovers around 8% according to recent polls, meaning Democratic voters are unlikely to pressure their elected officials to work with Trump at all. Trump will also have a narrow window to try and act on infrastructure. Assuming tax reform takes until the end of the calendar year, Trump’s team will only have until March before members of Congress start to worry about primary challengers and reelection. There has also been widespread speculation that Republicans want to tackle entitlement reform as soon as they finish tax reform. A fight over entitlements would probably dash any hopes of bipartisanship before the 2018 midterms. 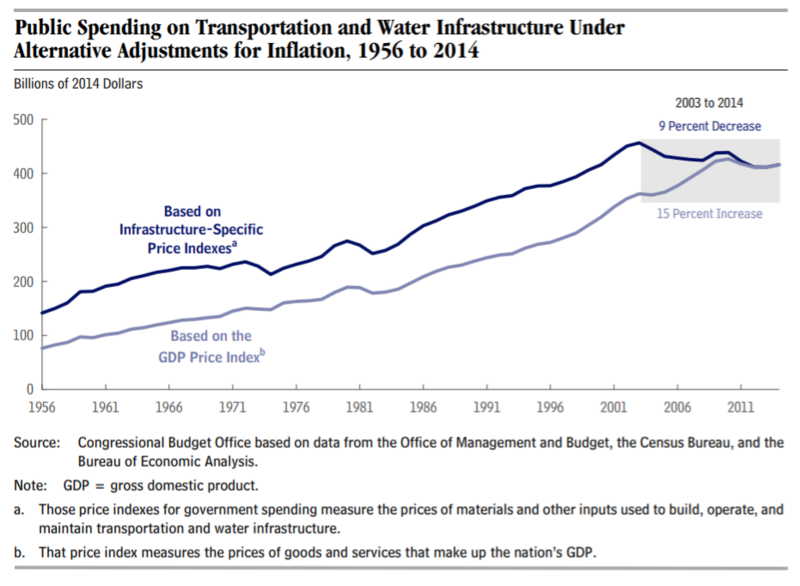 Perhaps Trump will suddenly become deeply passionate about major infrastructure reform, but if anything does manage to pass the GOP-led Congress it will likely be a small package with limited spending but lots of deregulation. His executive actions like reduced regulation may get some projects off the ground, but the lack of major federal spending will limit any grand vision of infrastructure.